If you live in the Phoenix metro area, you'll see these terms used regularly in the media, literally hundreds if not thousands of times a year. But the general public doesn't seem to have a clear idea of what constitutes the East Valley and the West Valley. Here's what we've found after taking a close look at a map of Metro Phoenix cities and towns and a list of cities and towns in Maricopa County. Where Is the East Valley? Although not a city or town, we include Sun Lakes in East Valley. Unlike some magazines and newspapers, we do not include Scottsdale in any definition of the East Valley. Yes, it is east of Phoenix. Still, like Phoenix, Scottsdale is an internationally known destination that's large and diverse enough to stand on its own. Where Is the West Valley? Although they are not cities or towns, we include Sun City, Sun City West, and Sun City Grand in West Valley. The City of Phoenix is well-defined, but there are a few communities that are usually included in discussions of Phoenix. The original Anthem is not a city or a town. It is a large community north of Phoenix that started as a planned community. Cave Creek is also in the northern part of town, and it is often associated with Phoenix. The two even share some zip codes. Some people prefer to associate Paradise Valley with Scottsdale, probably because both are considered affluent areas. Geographically, Paradise Valley is probably more closely aligned with Phoenix. Again, the city of Scottsdale is well-defined. Geographically, it runs all along the eastern border of Phoenix and is over 30 miles long. Most people include Carefree with Scottsdale, although Cave Creek and Carefree are sister communities that are both in the northeastern part of the metro area. They associate Fountain Hills with Scottsdale as well. How Do You Define Greater Phoenix? There is no official designation known as Greater Phoenix. 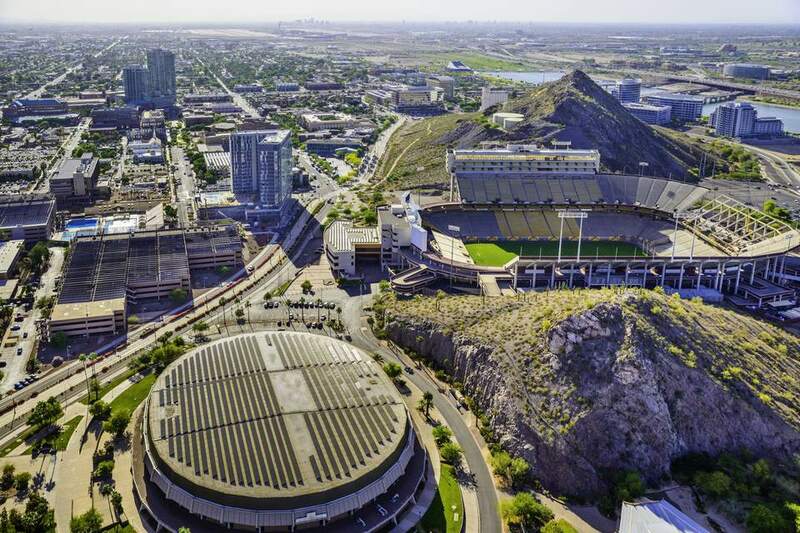 The Phoenix Metropolitan Area, commonly known as the Valley of the Sun, the Salt River Valley, or Metro Phoenix, is a metropolitan area anchored by the city of Phoenix and surrounded by most of the central portion of the state of Arizona. The United States Census Bureau designates the area as the Phoenix-Mesa-Scottsdale Metropolitan Statistical Area (MSA), which includes Maricopa and Pinal counties. The informal designations Greater Phoenix and Metro Phoenix refer to the places where most people around the Phoenix-centered region live, work, go to school, and play. This means that in everyday usage, these terms usually also comprise Native American lands, Gold Canyon, Superior, Florence, Maricopa, and Casa Grande since they are geographically very close to but not necessarily in Maricopa County. Which Cities Are Located Within Maricopa County, Arizona? What Are the Curfew Rules in the Phoenix Area? Where Is Arizona in the Southwest? Why Is Scottsdale, Arizona Considered Snobby By Some People?